Dan Absalonson | Author of SciFi & Fantasy: A Method To The Madness has an Awesome Cover! Listen to my Short Story "The Forest Trail"
A Method To The Madness has an Awesome Cover! There is a certain anthology coming out next year, and above is the amazing cover for it. I submitted a story, or more like a humorous essay, to this anthology - and it was accepted! I am so excited! If you've read some of my previous blog posts you may already know this. This will be my very first piece of fiction published by a real publisher! How cool is that?! Very cool. 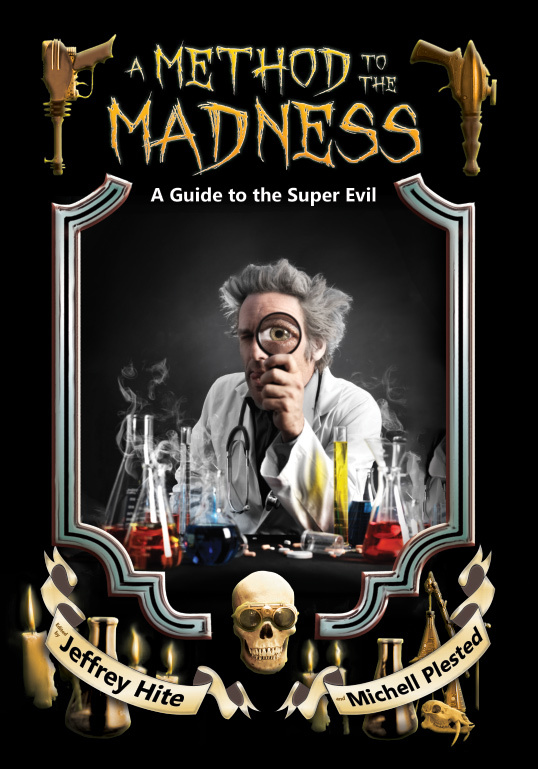 Five Rivers Publishing is putting out this awesome anthology of essays on how to be a super evil mad scientist. It is very tongue in cheek and very fun. Check out this great blog post on their site where the cover artist Jeff Minkevics describes putting this rad cover together. A huge thank you to him, Five Rivers Publishing, and the two guys behind this awesome book Michell Plested and Jeffrey Hite who had the idea and gave much of their time to edit this book and make it better. My hat is off to both of those gentlemen. Even though I plan on mostly self publishing my fiction, I will never forget the first time I get published. It is going to be pretty sweet. I can't wait to hold a copy of the book in my hands and read all of the awesome stories and essays written by the other authors in the anthology. Sometime next year, for the first time, I will get to hold a published book with my writing in it. It is a day I really look forward to. Share book reviews and ratings with Dan, and even join a book club on Goodreads. © Dan Absalonson 2007 - 2019. Powered by Blogger.